Throughout Dr. Wayne W. Dyer's prolific speaking, writing, and teaching career, he touched upon a wide variety of topics, from success and motivation to manifestation and inspiration. Wayne used his insightfulness and down-to-earth manner to bring clarity to concepts that could be difficult to grasp. 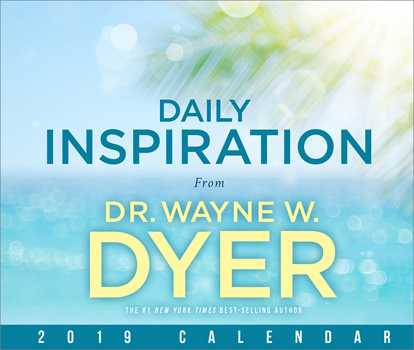 Now, Hay House is honored to continue his legacy through the Daily Inspiration from Wayne Dyer calendars. Every day features a wise, uplifting, positive message drawn from his decades-long writing and speaking career. Through these curated collection of quotes, we hope to evoke fond remembrances of your favorite works; expose you to new messages from Wayne; and bring you inspiration, wisdom, and peace.